If your teeth are stained from smoking or drinking coffee, or if your teeth bleed or have become loose or wobbly, then it is recommended to see our Dental Hygienist. At Barhill Dental Clinic, our Hygienist’s role is to help keep your teeth and gums clean and healthy for life. What does our Hygienists do? Hygiene visits help prevent and treatment periodontal disease (gum disease) and dental caries (tooth decay). 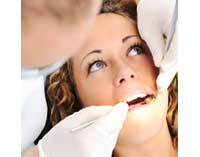 The dental health of the mouth is maintained by regularly having teeth and gums cleaned during these visits. Gum disease can cause bleeding gums and bad breath, which can be both unpleasant and scary. The condition can also lead to the loss of teeth in its advanced stage. Your Dental hygienist is a specialist in the diagnosis and treatment of gum disease and the prevention of tooth decay. As part of the hygiene treatment, your hygienist will give you advice on how to clean and look after the teeth and gums, as well as providing information and demonstrations on the many dental products available so as to achieve and maintain good oral health. At Barhill Dental Clinic, we place great emphasis on our hygiene treatment. Look at detailed assessment of the condition of your gums. Assess your brushing technique and advise you on the best oral care. Remove Tartar and Plaque that brushing does not remove. Offer you a thorough deep clean of your teeth. It will reduce bleeding gums issues. It will leave you with fresher Breath. It will help get rid of stains and make your teeth like a lot whiter. It will help you to your teeth for longer. For further information, ask your dentist about our Hygiene treatment or speak to the receptionist by calling us on 01954 781616.